Pack of 6" sq. 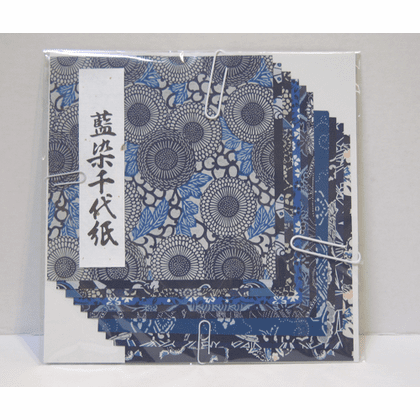 beautiful Japanese aizome chiyogami paper. 10 different designs. Designs may vary from package to package. 10 sheets in a package.